Let’s say you are involved in a serious collision in the District of Columbia. You were driving through an intersection on a green light and a driver from your right ran a red light and t-boned your car. Fortunately, there is an independent witness, the driver of the car behind you, who saw you enter the intersection on a green light. You suffered multiple injuries, most of which healed over more than a year, but one of which, significant neck pain, is permanent. You have a DC auto insurance policy. 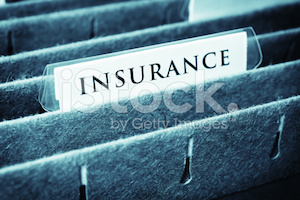 It provides $100,000 of underinsured motorist (UIM) coverage. The person who ran the red light (the “runner”) has a minimum DC auto policy, which provides $25,000 of liability coverage. You have over $50,000 in medical bills and a permanent injury, so $25,000 won’t be enough money for your claim. Your lawyer contacts the red light runner’s insurance company and demands the $25,000 policy limit. That company investigates, talks to the witness, and agrees to pay its $25,000 in coverage. Your lawyer then writes your insurance company, tells it that the runner’s insurance company has accepted responsibility, and asks for permission to accept the $25,000 offer. He also asks your insurance company to accept responsibility under your insurance policy (which is a contract) and to pay its policy limit. [i] Your insurance company refuses to allow you to accept the $25,000 offer and refuses to offer you any money. Additionally, the law states that any consent to settle or waiver of subrogation by the UIM insurer may not be construed to limit the right of the UIM insurer to raise any issue or defense relating to liability and damages in an action against the UIM insurer; and does not constitute an admission by the UIM insurer as to any issue, claim or defense raised in an action against the UIM insurer. Copyright © 2015, Eric N. Stravitz. [i] Because it would get a credit for the $25,000 from the red light runner’s insurance company, the most it would have to pay under its insurance policy would be $75,000, not $100,000. [ii] A lawyer would be wise to do this by certified mail, return receipt requested, or some other means that would allow proof of service. [iii] “Tortfeasor” is a fancy word for at fault driver (here, the red light runner). [iv] If you’d like to read more about Maryland law on this point, I recommend the following blog post that discussed three recent Maryland appellate cases that discuss Maryland Insurance Code § 19-511: Injury Law Around the Beltway. [v] In one way the DC law is better for Plaintiffs than its Maryland counterpart: Under the DC law the UIM carrier has 60 days to pay the tortfeasor’s insurance policy limits if it wishes to retain its subrogation rights. Under Maryland’s law, it gets 90 days.